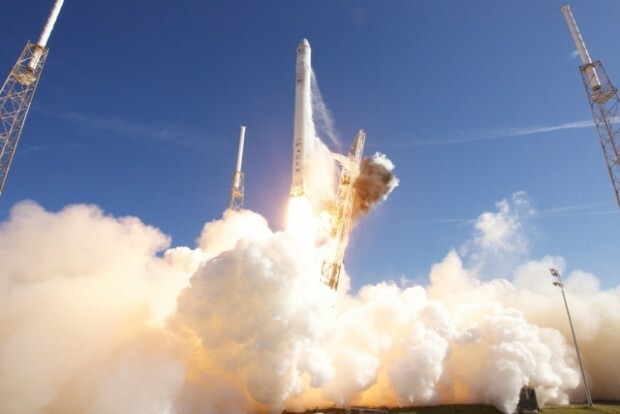 SpaceX, the private space transport who are acclaimed with successfully docking with as well as successfully resupplying the International Space Station (ISS), have recently completed what appears to be a promising test flight of their Vertical Takeoff, Vertical Landing (VTVL) rocket. The rocket which goes by the moniker Grasshopper, has recently completed a test flight in June where it flew vertically up to a height of 325 metres — or 1066 feet — after which it hovered and then safely returned to its launchpad. The experimental Grasshopper is based off of the Falcon 9 rocket  which was part of the successful ISS missions. What makes the Grasshopper especially unique is that it is designed to be reusable — hence the VTVL functionality. This test flight marks the highest altitude the Grasshopper has thus far reached, surpassing the previous mark of 250 metres made in September last year. If you want to see the test flight, you can view it from the video below. It is awesome to see the progress that is being made with space transport these days. I honestly feel like an excited child every time I see a rocket launch on the internet. Are you guys excited too?